Noosa has long been considered the foodie hub of the Sunshine Coast, and still to this day it lives up to its reputation. 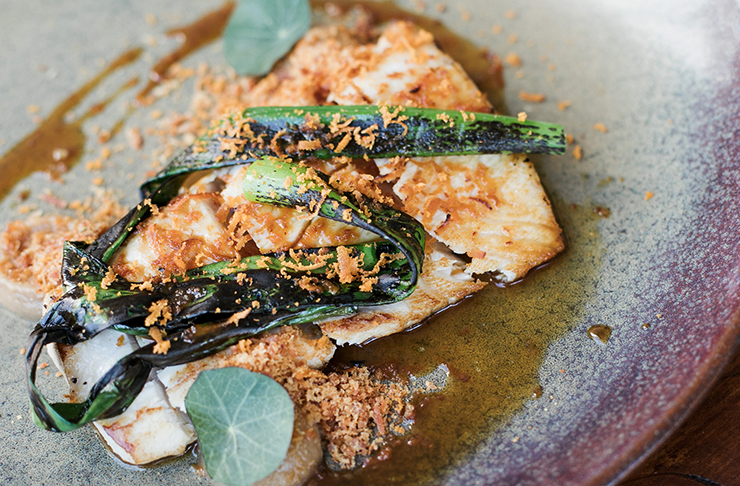 You don’t have to stumble far in Noosa to find unique and aesthetically pleasing eateries serving up culinary art pieces. However, here at The Urban List, we’re always excited when a new player enters the food scene, especially when they offer up extraordinary dishes. Enter YoYo Bar And Restaurant, Noosaville’s newest foodie addition that’s sure to get even the most fussy food lover’s attention. Positioned perfectly on Gympie Terrace, right across the street from the water, sits this little slice of paradise. The deck seating area outside provides the perfect spot for afternoon cocktails while you people watch and the inside is a mix of industrial and minimalist décor making this the ultimate fancy dinner date destination. With a thick poured cement bar bench, a textured feature wall, moody down-lighting, exposed electrical wires and uniquely shaped light bulbs, YoYo is the perfect mix of modern sophistication and effortless cool. And now for the food portion. Let’s just say this, you won’t be disappointed. YoYo’s eats are just as (if not more) impressive than its amazing location and stunning interiors. Think: truffled popcorn, oysters with gin granita, chilli charred pineapple and coconut, seared king scallops with ham, blood orange, vanilla and compressed apple, and torched kingfish with pork fat whey onion, burnt shallot, miso shitake caramel, soy cured yolk and fish floss. Yeah, it’s really as good as it sounds. And for dessert? 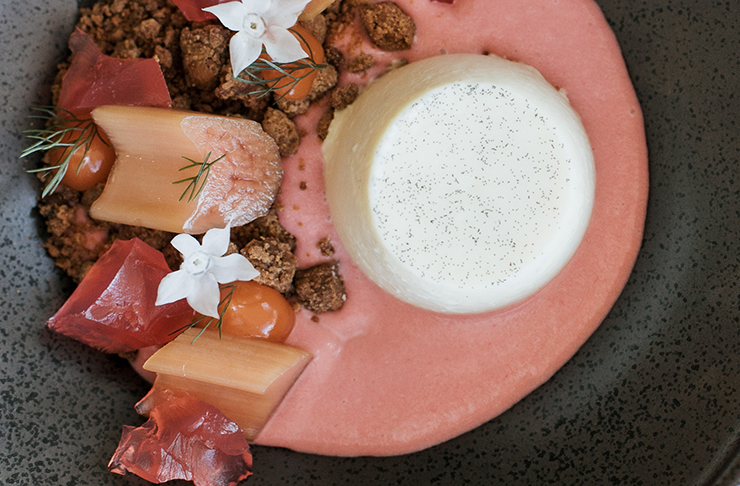 We can’t go past the rhubarb three ways, served with cardamom pannacotta and roasted white chocolate. Yep, we weren’t lying when we said this place would make any foodie swoon. We know we did. But if it’s drinks you’re after, then you won’t be let down with YoYo’s impressive collection of wines. But it’s their cocktail menu that really has us itching for more, AND more. 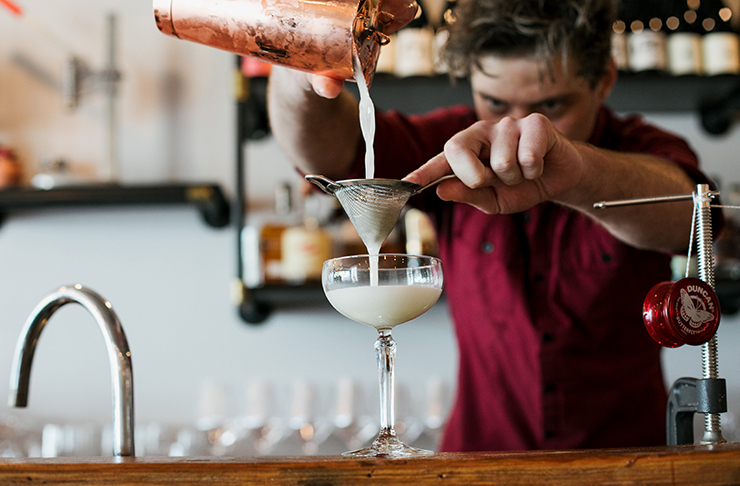 The cocktails are named after classic YoYo tricks, such as ‘Man On The Flying Trapeze’, ‘Walk The Dog’, ‘Buddha’s Revenge’ and ‘Rock The Baby’. Our recommendation? Try the ‘Wind The String’, a delicious mix of vodka, elderflower gin, lemon, lemongrass, and charred pineapple. Cheers to that. So, whether you have a relative in town that need some impressing, a birthday party approaching, or you’re just looking for your next afternoon cocktail spot, then YoYo is the place for you. Mixing coastal relaxation with big city sophistication, this bar will take you from casual afternoon catch ups to dressy dinner dates, and the amazing service and delicious food will keep you coming back time and time again. Just like a YoYo. Want more Noosa? We've also rounded up the best things to do in Noosa here.